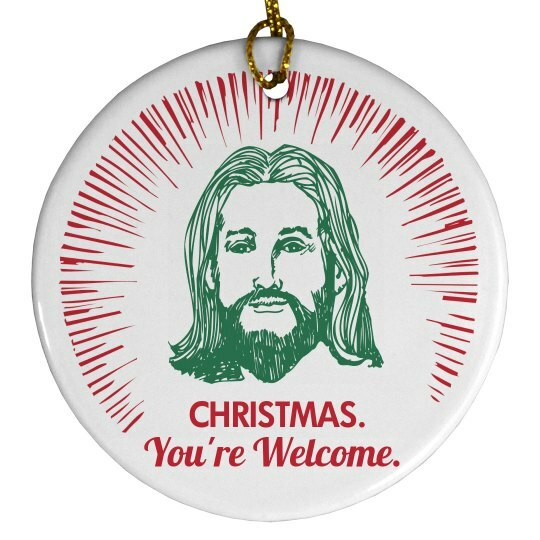 Customize funny Christmas holiday designs for you and your religious friends! God Bless and Merry Christmas! Custom Text: CHRISTMAS. | You're Welcome.